SOLD!!! 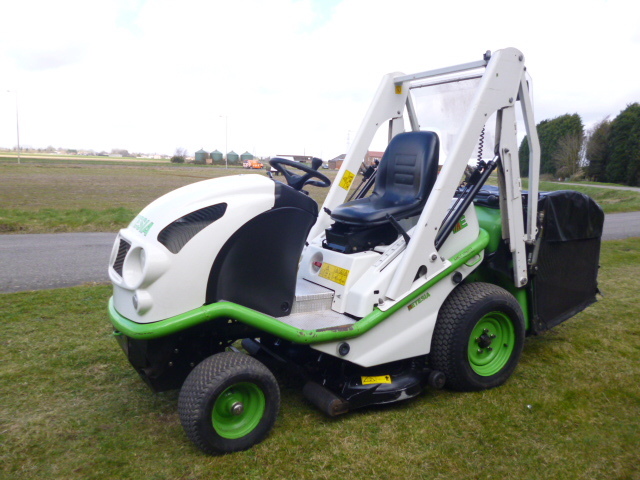 ETESIA HYDRO 100 HIGH TIP DECK 2008 MOWER SOLD! 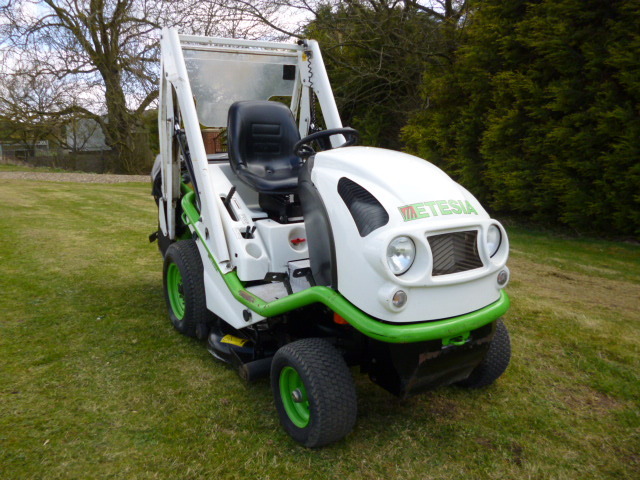 Brief Description: Etesia Hydro 100 DIESEL Mid Deck Hydro Drive Rotary Ride On Mower with Power Tip. Hrs: Engine. 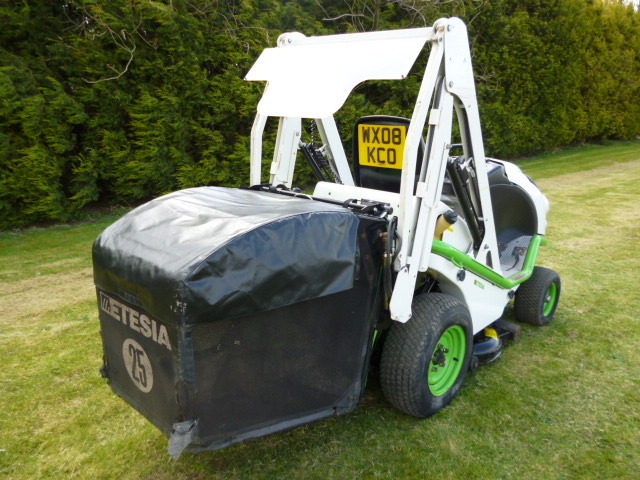 500 litre Grass Collector. Hydrostatic Transmission. 2WD. 100cms cutting width. This ex council mower has not done a lot of work as you can see by the hours. This is a dream machine. 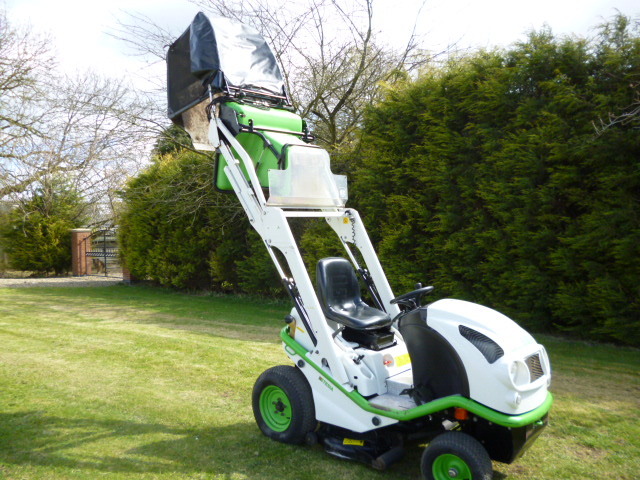 You can even cut grass in the pouring rain with this little beauty.With its twin contra rotating blades it lifts the grass to cut it and then ejects it straight into the hopper. It steams through long meadow grass just as easily as if it is cutting the lawn. 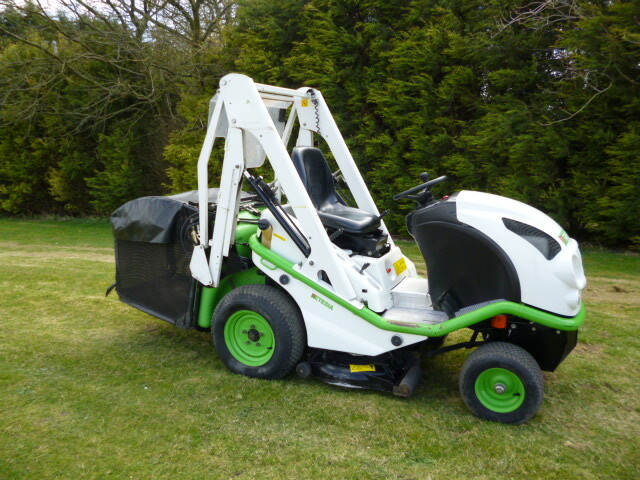 The grass hopper is emptied via a lever whilst you are still in the sitting position to lift and tip the cuttings onto your compost heap. 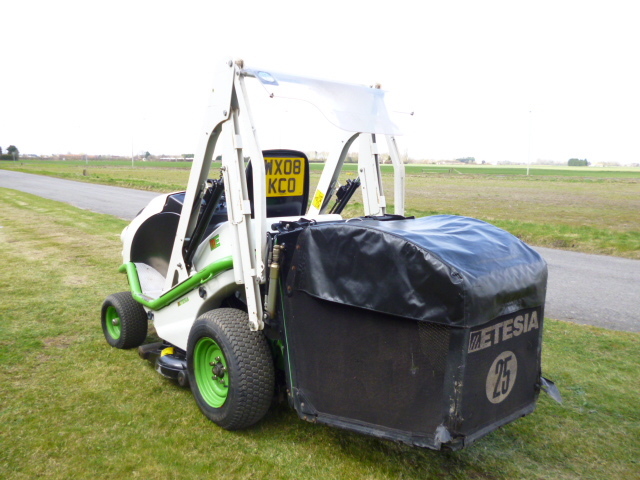 You are welcome to come and view the machine for yourself, we are based at Wisbech in Cambridgeshire. Please call first to make an appointment.